Owners of the Netgear CMD31T DOCSIS 3.0 cable modem have been reporting problems since March of this year, when a Comcast XFINITY network upgrade to IPv6 revealed a deficiency in the device's firmware. As a result, Comcast temporarily rolled back the IPv6 upgrade in Silicon Valley, and removed the CMD31T from their list of supported devices. Comcast's customers were stuck, unless they were still covered by their retailer's refund policy. 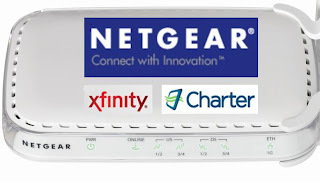 That was the last response from Netgear, until earlier in August when CMD31T users on both XFINITY and Charter cable systems on the East Coast again reported problems. Netgear continues to claim compatibility, but in May Charter blacklisted the CMD31T. I apologize this was above my level to assist you with the issues we had today and hope that the corporate contact or netgear can assist you further with this issue. "Charter investigated the issue, and they now say that the blacklisting was "inadvertent". Charter also added that the customer made a "good decision" by upgrading to a DOCSIS 3.0 device. While NETGEAR is unable to provide a refund, we are happy to help troubleshoot the product so that we can work out a way that it will meet your needs. Technicians are available 24/7, and reachable at the following numbers: 888-NETGEAR (888-638-4327) opt 4. As the technician had stated, we will happily issue you a RMA for a replacement for your device. Meanwhile, in response to our inquiries, Netgear's PR firm Weber Shandwick continued to deflect the issue, blaming Charter's transition away from customer-owned equipment. After repeated attempts to contact Netgear directly, on August 22, Judy Hoffmann - Sr. Director WW Marketing Communications at Netgear replied, once again referring to Netgear's standard troubleshooting procedure. Let me reiterate the solutions we have provided. For anyone experiencing issues with the CMD31T, the 5-steps we’ve outlined below will enable them to check the version of the firmware their device is running. As we’ve said, if customers are still experiencing difficulty, they are encouraged to contact NETGEAR support and we would be happy to replace the device at no cost. This should fully resolve your questions and concerns. The Charter customer who reported problems to Netgear had already confirmed that his device had V501d firmware. Since the firmware update had not solved the problem, we asked Ms. Hoffman what Netgear replacement the company would offer. The contact number for requesting a refund is 1-888-NETGEAR or 1-888-638-4327. 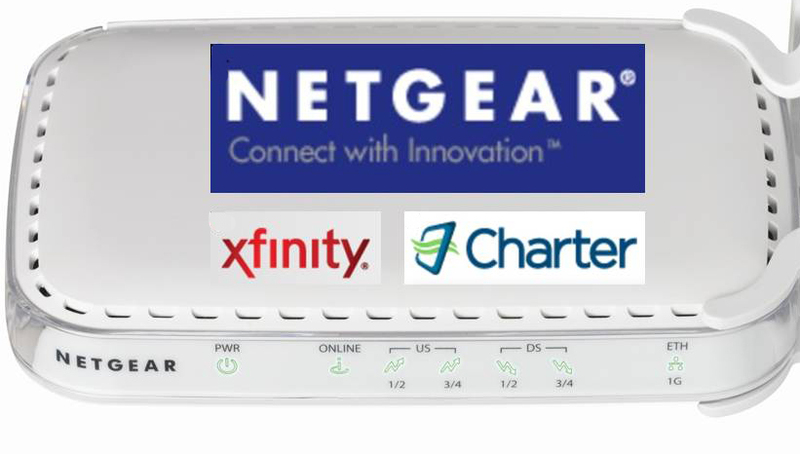 Charter Communications blacklists Netgear DOCSIS modems, as Comcast XFINITY users continue to experience problems.